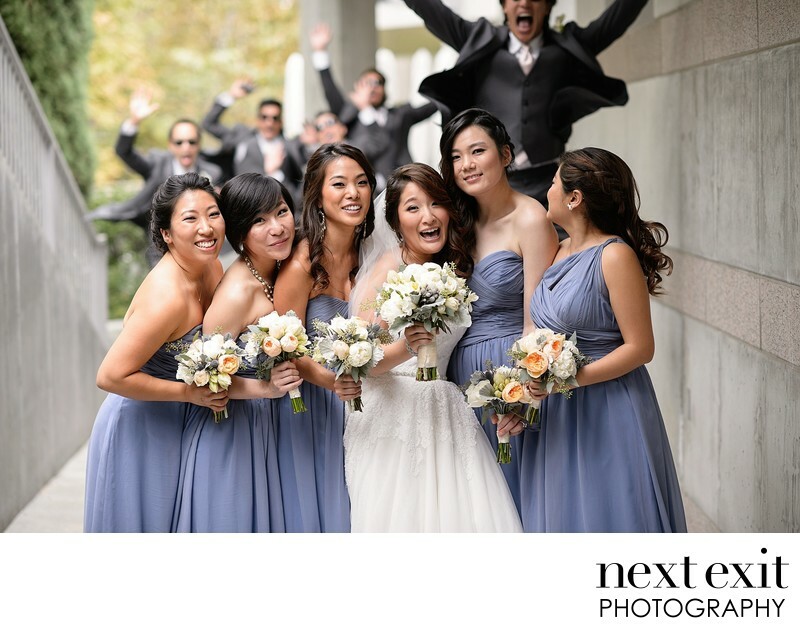 A little fun at the Skirball Cultural Center when the groom's party decided to photobomb the bridal party portraits. Tremendously fun bridal party wedding photography. Location: Skirball Cultural Center 2701 N. Sepulveda Blvd. Los Angeles, CA 90049.